Guests have great experiences at the Tun! 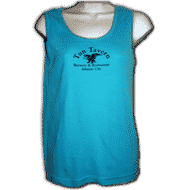 Did you have a great time at the Tun and want to tell us about it? 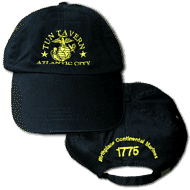 Visit the Tun Tavern Facebook Page, or click the button below to contact us and let us know! I'm writing to thank you for accommodating our party last night with the tour. It really was the highlight of the weekend! My brother is a huge beer geek and couldn't have been happier with the experience. The whole event was much more than we all expected and a great time! We'll be sure to stop in again the next time we're in town! Wow!! Diane, this is excellent! 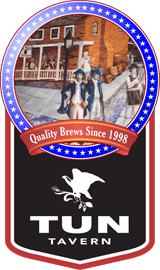 Great beer, terrific staff, ESPECIALLY Zeke! He is PHENOMENAL, and absolutely made the tour outstanding! Extremely impressed by his knowledge and personality, especially for such a young man! This was absolutely one of the highlights of the trip! Thank you, and your staff, for taking such great care of us. 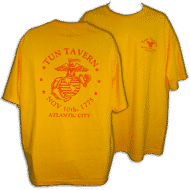 We will tell stories of Tun Tavern for years to come! I cannot thank you enough for all that you and your staff did for our event! Your staff was attentive, always available and willing to help or clear a plate or get a drink, they had smiles on their faces and extremely friendly. The food was absolutely fantastic, the beer was delicious, the setup of the room was perfect and the guitar player was awesome! You've made planning this event fun and easy for me and I can't thank you enough for that!! I will definitely be recommending Tun to anyone planning an event in the AC area or just going for dinner. Thanks so much!!! 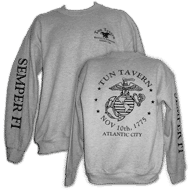 Good Morning, On behalf of the Marines, we want to thank you for a great birthday celebration. Your restaurant and staff were outstanding and we look forward to visiting the restaurant again in the future. "I couldn't have imagined the event going any better. The food was excellent and the service was even better. Compliments to the chef, the food was great and the timing was perfect. I really appreciate it. A+ from top to bottom!" Your team created such a great atmosphere for our group. It was such a pleasure to work with a group that was so accommodating to our needs and we do not always get that kind of top notch service. I want to thank you and your team for all the attention and care they provided during our event. "...everyone just raved about the dinner. The food and service were outstanding and you could not have been a more gracious host. Every member has unanimously voted to have the dinner at the Tun Tavern again next year"
"Diane, everything was fantastic. The food was great, beer list was awesome and the servers were very attentive and didn't keep anyone waiting on drinks; the bachelor was happy and we all had a great time. I also appreciated you helping me out with calculating the bill. Lastly, the musician you guys had playing covers was awesome and took all of our requests. Thanks for everything! "Thank you for our FANTASTIC luncheon and brewery tour, and for all of your and your staff's hospitality and service! Lunch was superb!" "We couldn't have been happier with the event. We had three servers and they were all very polite and prompt with their service. The food!! Wow, loved the bacon wrapped scallops with horseradish and the chicken satay. The food exceeded our expectations. I was especially pleased with how accommodating the manager was when we asked her to call for cabs at the end of the night. We had about 25 people going back to the Borgata by taxi and the others had their cars. Instead of calling for 6 or 7 taxi's, the manager called the Sheraton next door. The door man came over and confirmed how many people were in need of a taxi and arranged for 2 sixteen passenger vans to drive us back to the Borgata. After a two hour open bar, you can imagine how much fun the van ride was. It was great to keep everyone together in the two big vans. 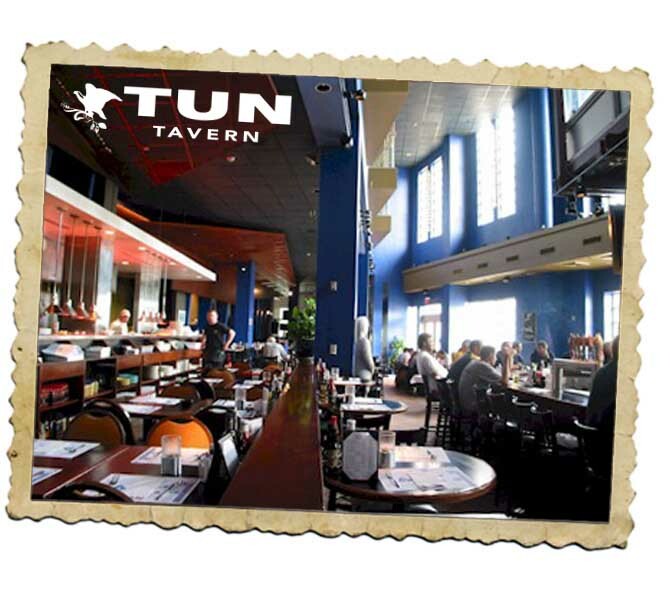 To sum it up, the Tun Tavern exceeded our expectations for their food, wait service and management of our needs before, during and after the party!"